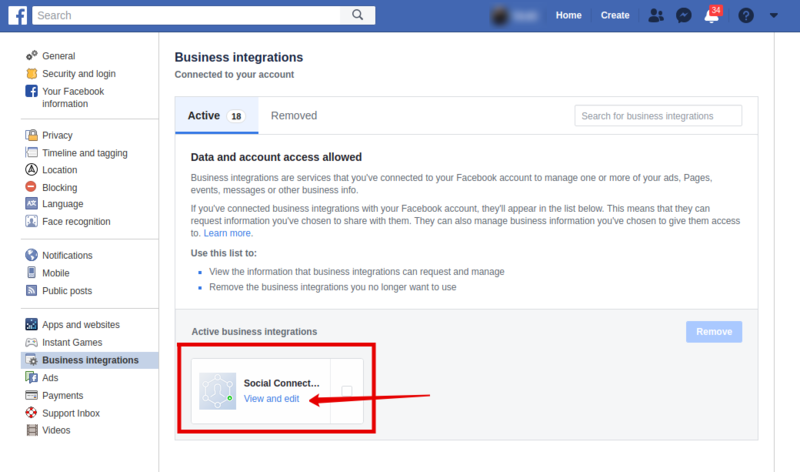 Login to Facebook and then head to your Business Integrations settings tab. Now you need to find the page that is not displaying on Holly Social and click the tick box (you might need to click "see all pages"). 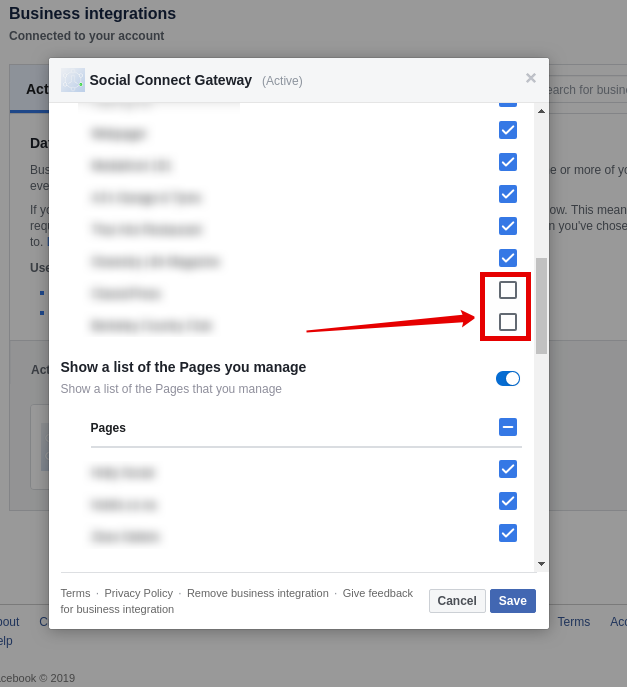 Press save and then attempt to connect the page again in Holly Social - your page will appear in the list as expected.